Chain bracelets are versatile, feminine and stylish. They draw attention to your wrist and enhance any outfit. But there are different types of chain bracelets depending on your style and what kind of look you want to achieve. 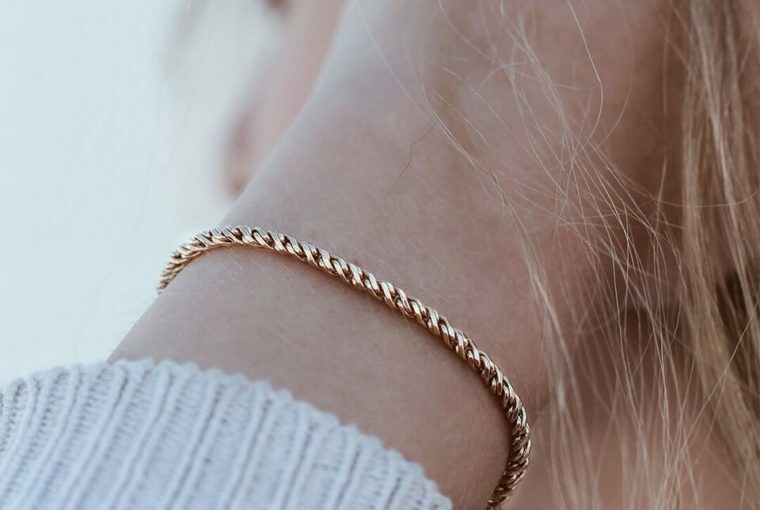 Ana Luisa’s fashion stylists have put together a list of our favorite styles of chain bracelets to offer you ideas about what you should get. Read further to find out our top picks for this lovely jewelry piece. Our top pick is the gold bracelet which you can wear anytime, with any outfit. 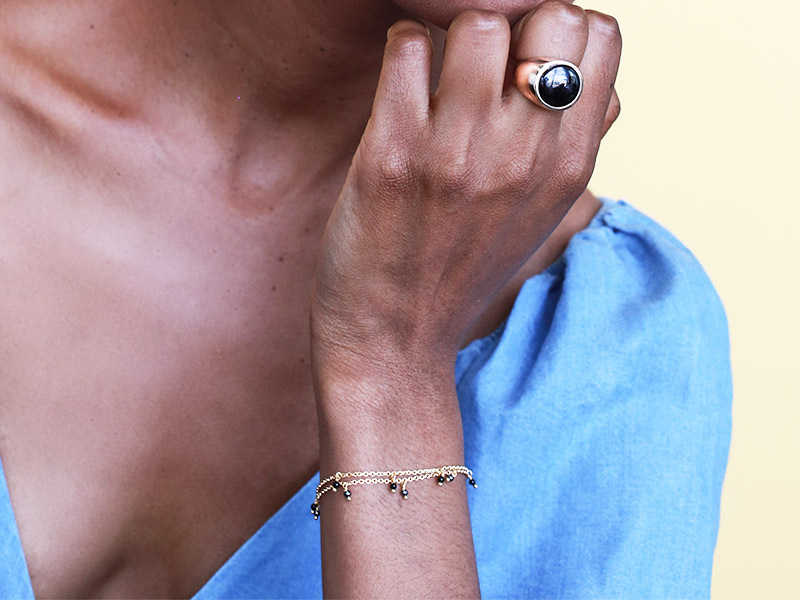 A simple gold bracelet with a delicate chain is a classic jewelry piece that will never get old. The best part is that you can style this bracelet with an elegant outfit or you can match it with your everyday clothes. 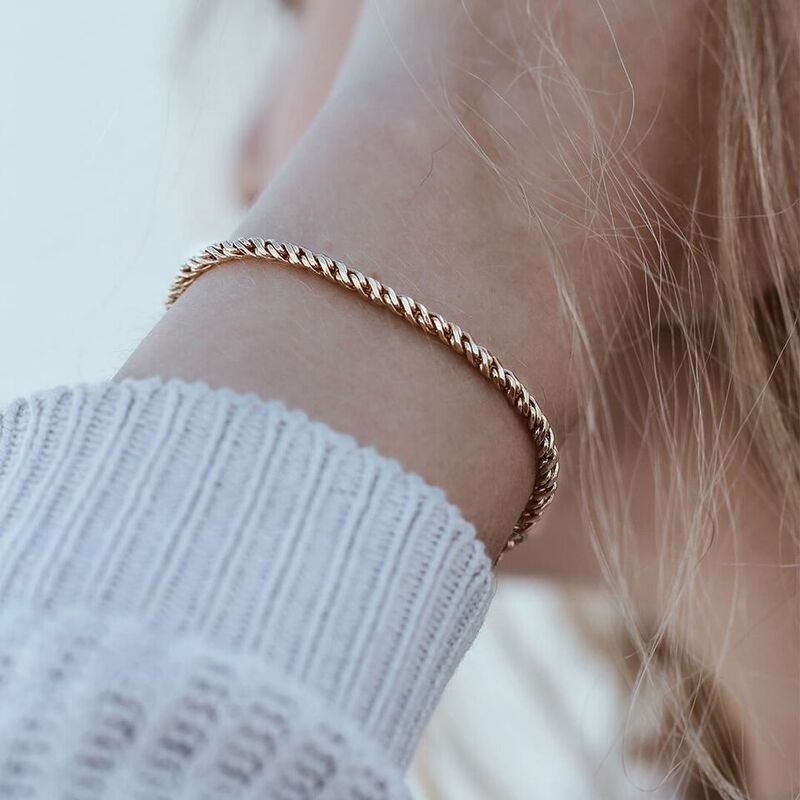 In our collections, you can find beautiful gold-plated chain bracelets of the finest quality designed for women who appreciate beauty and style. Just like gold, silver is a versatile metal and a simple chain bracelet made of silver will always look gorgeous. Besides being stylish, silver is also youthful and fresh. Just pair your silver bracelet with a casual outfit to look your best. Just as you can have beaded bracelets, you can also have a beaded chain bracelet. Basically, this jewelry piece is adorned with metal beads of the same material as the chain. In case you want to offer a gift, you should know that this type of bracelet is more appropriate for young women. Usually, a beaded chain bracelet is a casual jewelry piece, but if it’s platinum or gold, you can also wear it to a formal gathering. This year the coolest fashion is to stack your rings, wear layered necklaces or try on mismatched earrings. This lavish fashion trend also applies to bracelets so if you don’t have a layered chain bracelet, you should get one. The multiple chains will look gorgeous on your wrist. The best part with this accessory is that you can let your wrist get all the attention and wear delicate earrings or necklaces. A braided chain bracelet is an accessory that has a delicate metal chain on top of which you can find a braided rope. Usually, the textile piece has bold colors like hot pink, royal blue or turquoise. This type of bracelet is ideal to bring out a casual outfit, but it is not appropriate for formal wear. Everybody loves charm bracelets and why shouldn’t they? These bracelets are fashionable, personal and creative. You can get an already made chain bracelet or you can make one yourself. This type of bracelet has a metal chain from which different charms are hanging. The charms can have a theme, like the sea for example. Of course, they can also be personal and tell a story about you. You can have charms with your zodiacal sign, favorite fruit, tiny books or anything that defines your personality. A hand chain bracelet is a very hot trend this year and it also looks very creative. With this type of bracelet, you have a thin metal chain on your wrist that prolongs to your middle finger around which it forms a band. Hand chain bracelets dress your hand and can be very elegant. A fashion statement doesn’t need to be chunky or big. It can also be innovative, like a hand chain bracelet. Usually, gemstone bracelets are elegant and ideal to match with formal outfits. But, depending on the gemstone, they can also be casual. Turquoise, for example, is a versatile gemstone which you can wear to a formal gathering but also to the beach. A gemstone chain bracelet can feature a single gemstone in a setting on the chain or it can have multiple ones. This type of bracelet is also a classic and you should have at least one in your jewelry box. We know what you are thinking. What would you do with a men’s bracelet? But, as it turns out, there are a lot of things you can do with it. From boyfriend jeans to boyfriend watches, the fashion world has turned men-only items into cool pieces which women can also wear. Men’s bracelets are masculine and can balance a feminine outfit. You just have to make sure they don’t fall from your wrist so it’s a good idea to resize them if they are too big. Having a chain bracelet is a must. Having more of them is a great way to ensure you always look fashionable. Check out our online collections of designer chain bracelets at fair prices. For more interesting jewelry advice browse through our other categories as well. What Is the Best Bracelet Style for You? What Is a Friendship Bracelet?